What's black and red and protects you? Nope, it's not a vengeful shadow covered in the blood of your enemies, it's these Reebok Men's RB3000 Black/Red ZigKick Non-Metallic Composite Toe ESD Athletic Shoes! What makes this footwear better than any fantastical sha ... (see full details) (see specifications) #RBKRB3000. What's black and red and protects you? Nope, it's not a vengeful shadow covered in the blood of your enemies, it's these Reebok Men's RB3000 Black/Red ZigKick Non-Metallic Composite Toe ESD Athletic Shoes! What makes this footwear better than any fantastical shadow creature? How about an XTR extra wide composite toe caps (ASTM 2413-compliant) or a static-dissipative dual resistors that make these men's shoes ESD-compliant? That allows these composite toe shoes to protect you from impacts and compressions, and you won't damage sensitive electronics on the jobsite. Having dual resistors ensures you'll be grounded (thus dissipating static electricity), even if one of them fails. Boom! his workwear also features slip-resistant rubber outsoles, so you'll be more sure-footed on treacherous terrain. Good resistance to chemicals and abrasions add longevity as well. Shoot, these ESD shoes might be a harder worker than you! (Just kidding.) But what sets this footwear apart is its their style and athletic comfort features. Rather than a regular old work boots, you get the black leather with red trim style. The leather protects you from scuffs and scrapes, but the mesh in the uppers keeps your feet cooler. Moisture-wicking nylon mesh lining pulls sweat away from your skin, keeping you drier and even cooler throughout your day. To cushion your feet and absorb impacts, they also feature the ZigTech EVA midsoles and removable FootFuel injected EVA cushion footbeds. The extra wide toes give you plenty of room in the toe boxes, and the rigid TPU heel stabilizers ensure a secure fit. All of these features give you a sneaker level of comfort with a work footwear level of safety. Plus, they're 100% non-metallic, which makes them security-friendly! You don't need some kind of shadow demon to look out for you on the jobsite - you just need a pair of these Reebok Men's RB3000 ZigKick Non-Metallic Composite Toe ESD Athletic Red/Black Shoes. These shoes are great! I have had back surgery 10 yr ago and I am required to wear steal/composite toes shoes for work. After trying several work boots and shoes, I found these to be best choice! Very comfortable and light weight, this is my 2nd pair in 1.5 yrs!!! 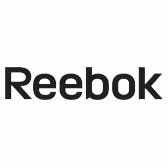 Reebok Shoes: Men's RB3000 Composite Toe ESD Athletic Work Shoes is being added to your cart.